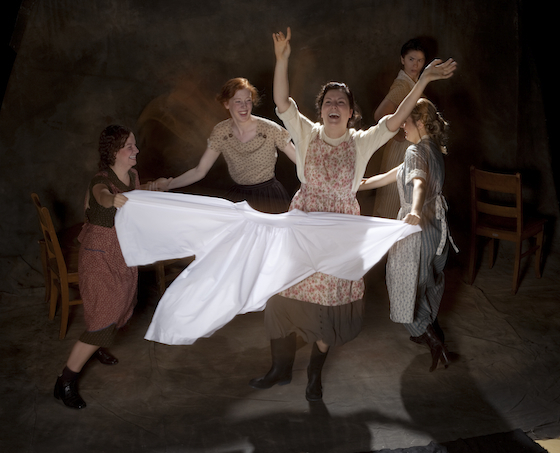 Dancing at Lughnasa tells the story of five Irish sisters fending for themselves in their very Catholic Baile Beag (“Little Town”). Friel appears in the character of five-year-old Michael, played by BFA acting student Alen Dominguez. Alen voices the thoughts of the child while standing to the side, appearing to be an imaginary person to the audience. It was a bit confusing at first as to why the sisters weren’t looking at him as they addressed him, but as the story unfolded it made perfect sense. The character development of the five spirited sisters is the main piece of the story as you learn a bit about each of them through their interactions with one another. They find themselves in situations that challenge the conventions of the community they live in while showing the hierarchy within the family. One such example is their almost collective decision to dance in the pagan harvest festival, Lughnasa. 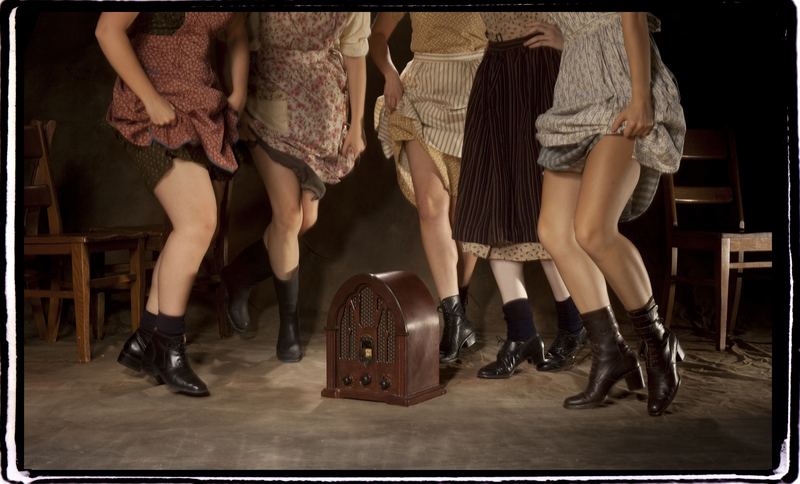 After a wild session dancing on and around the kitchen table to their radio named Marconi, Agnes decides that they should go to the dance. This love of dance and their desire to fight their “too old to have fun” image, spurs a heated argument, and some broken hearts. I particularly enjoyed Maggie’s relationship with Michael, offering him silly riddles and saying that she “may as well be talking to a turdstack” when her comments warrant no response. The relationship between Chris and Michael’s father is complicated with his unreliable and absent ways that leave her hopeful with his empty promises. As they dance around the property, with or without music, you can see her love for him perseveres through the lonely months without him. “Her face completely alters when she’s happy,” states Kate as she looks at the two with contempt. If you’re looking for a light-hearted play about family drama with a cast of decently held Irish accents then this is your play. Cleverly scripted it will keep you entertained and even laughing out loud at times. The Mundy Sisters were played by Courtney Shields (Maggie), Georgia Beaty (Anges), Emma Johnson (Michael’s unmarried mother, Chris), Pippa Johnstone (Rose) and Tracy Schut (Kate). Michael’s father, Gerry, was played by Matt Reznek while Kenton Klassen played Uncle Jack.